This week, Tom Chick makes the case that strategy gamers need to have a console to truly appreciate the range of games out there. He calls Bruce and Troy “dinosaurs” for clinging bitterly to a fading gaming platform, even though it is at the moment best suited to the deep games that all three love. What is the present condition of strategy gaming in the console arena? Are independent strategy game designers making a mistake by focusing on the PC? When mentioning the XNA marketplace (which is officially called Xbox LIVE Indie Games now) you mentioned you have to get it past the gatekeepers. Although this is so for XBLA games, the only review before publishing an XNA game is a peer review – to make sure the content in the game matches the description (so the self-rating system is enforced). The boundary to entry for Xbox LIVE Indie Games is low because of this, but part of the problem is exposure – there are hundreds of Indie Games released, and Microsoft does nothing to expose these games to the end-user. With enough marketing this could be overcome, but many great XNA games have been overlooked because they are buried in a pile of “rumble games” and screensavers. So in summary, the Xbox LIVE Indie Games market is a great place to publish a game – but may not be entirely successful financially. I’ve been working on an XNA game for the past year and half, hence the familiarity with the market. 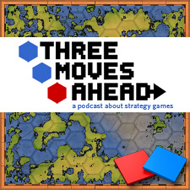 Enjoyed the podcast folks, it’s always a pleasure to hear Tom become overly enthusiastic about these hidden strategy gems on platforms other than the PC, and I could listen to him extol their virtues for a very long time and still be happy. I think the key to the point Tom was making, is that in order to taste the BREADTH of strategy gaming nowadays, you really do need to consider console and handheld titles. If you want to sample all that there is in the genre, then there are these console evolutions of strategy going on. I think the positive spin on it, is that the strategy genre is expanding, and the leap to the consoles and handhelds are seeing it evolve and mutate to not only encompass traditional strategy mechanics, but also form hybrids with other genres, essentially bringing strategy to a more mainstream audience. I think the more palatable strategy gaming becomes, the more support you’ll see from the big buck companies, and the more likely people will game with strategy and may encourage them to try out the deeper and more involved strategy games. I don’t think strategy gaming on the PC is in decline at all, and I don’t think the likes of Vic Davis or Chris Park will not exist on the PC platform in the future, because it is such an open development system where the tools are to build games from first principle design. There are distribution channels and mechanisms in place on the consoles and iPhone, but, many independent developers on the PC’s are managing to earn a crust via digital distribution on the PC, and I see very little difference between Xbox Live and Steam. In fact the likes of Steam, Impulse, Gamersgate and Direct2Drive seem to be the driving factors to independent titles becoming more popular simply because they’re easier to get at, and their affordable price means they are more likely to fall into ‘buy before you try’ category that most 1 dollar games occupy on the iPhone. I think the broader the base of sale for strategy titles the better the genre will be for the future, simply because you’ll have more people sampling what once was a niche enthusiasts pursuit. If you really enjoy strategy in all its forms, then you have to try these exotic and forbidden fruits of the consoles and handhelds. Have a good Christmas folks, enjoy your trip back home to Canada Troy, and I’ll look forward to the Religion episode and then marching into 2010 strategy gaming with the TMA Army. It confuses me when people say that strategy games have to make a “jump” to consoles when they’ve been there as long as there have been consoles. Also lets not forget even Starcraft was ported to N64 so even PC greast have graced the consoles, even if they’re not that good. Railick, I even remember some Koei game from way back when that used Western characters in Europe. I think it even had Robin Hood in it! So, yes, their forte is Chinese history, but they’ve had some cool diversions to other settings. By the way, I’m going to undercut myself a little by saying this, but I just found out that Greed Corp (note that I was just calling it “Greed” on the podcast) will be released for the PS3, Xbox 360, and the PC when it comes out early next year. But I still stand by my point! Thank you Bruce. I haven’t heard “Man on the Silver Mountain” since the ’80s. The rest of the podcast was pretty good too. Sorry I can’t do the fancy link thing. This is the best an old man can do. One thing that is clear Koei has been making all sorts of strategy games for consoles, everything from war games to airline management games to sailing and exploring games. They are responsible for probably the happiest part of my childhood and served as a doorway for me into more serious strategy games. After all I did play Close Combat 3 the first time because I thought it looked like Cannon Fodder (I was kind of wrong and right at the same time) The first time I saw a flame thrower unit destroy and entire squad of enemy soldiers I fell in love with WW2. I really value this podcast guys. This is the first time I’ve actually downloaded a podcast onto my nano and listened to it right away while laying in bed (Normally I only listen to podcasts while I’m driving as it takes me an hour to get to and from work) That is really saying something that I would set aside an hour of my free time to listen to you guys geek out about strategy games :) I can’t wait for the next episode. I had a great time with Koei’s Genghis Khan game. There was a campaign focused on uniting the Mongol tribes, but the real meat of the game were the conquer the known world scenarios. You could select European, Middle Eastern, Russian, and Indian kingdoms in addition to Koei’s more often used Chinese and Japanese powers. Did Dune II come out on PC or Amiga before console? I first played it on the Megadrive, as it wasn’t available on the Atari ST. Sorry that I’m listening to this one a bit late (I blame Christmas travel) I have to say that it’s a shame that Tom was the only one mentioning Koei games and how few titles many of the podcasters knew from Koei. I was screaming PTO and Operation Europe into my iPhone but I don’t think you guys heard me. I was hoping for more discussion on the move of RTS games to the consoles over the past few years and what that means for PC RTS games. Thats the strategy genre I play the most so it colored my opinion of the podcast. While I don’t want to see strategy gaming (RTS in particular) dying on the PC, I do think it might need success on the consoles in order to avoid the fate of the flight-sim. I think however gaming in general on the PC may have a bright spot on the horizon, at least I hope it does. As the console manufacturers try to extend the lives of these current machines along with the addition of motion controls, the PC could have a rebirth if hard-core FPS gamers make the move back to the PC in search of extreme graphics and better controls than any wand or exaggerated hand movements can give them. If those hard-core gamers come back then I think other genres could have a rebirth on the PC also. In the end, I have to give the console its due as an RTS platform because a console introduced me to strategy gaming, RTSs in particular. My first RTS was Dune: The Battle for Arrakis for the Sega Genesis (circa 1993). I rented the game from Blockbuster because I was a huge fan of the Dune novels. The game caused me to fall in love with the RTS genre. Until the 360 however, the only console RTS game I played was the port of the first C&C to the PS1. I was hoping for the nostalgic feeling of playing Dune on the Genesis again but it didn’t work out that way. After experiencing Dune on the Genesis, I sought out Westwood Studios next game which was on C&C and at that time I had a PC that would run it and got hooked on RTSs on the PC and it soured me on the later experience of C&C on the PS1. I hope that RTS games don’t die on the PC anytime soon. While the console experience isn’t bad, it can’t match the PC.